The Joyetech eVic Kit is like no other battery mod and in fact is more like a small computer which offers full customization and reporting of your vapor sessions. The most unique feature of the official eVic mod, however, is the fact that it runs a visual operating system which can be updated and upgraded via USB connection to your computer. The eVic comes in beautiful packaging which only begins to prelude to the sophistication of this product. Inside you will find the eVic unit and 2 manuals, one for the the unit itself and one for the Joyetech MVR software that it runs. You will also find a rechargeable 2600mAh lithium ion battery, the charging cord and the wall adapter for the charger. Each item fits perfectly into the box like a puzzle which is a small demonstration of Joyetech's attention to detail. 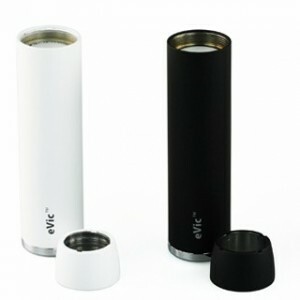 Although the eVic is bigger than traditional electronic pen vapes it offers a longer battery life for an all day vape. Above the battery housing is the brains of the operation aka the control head. 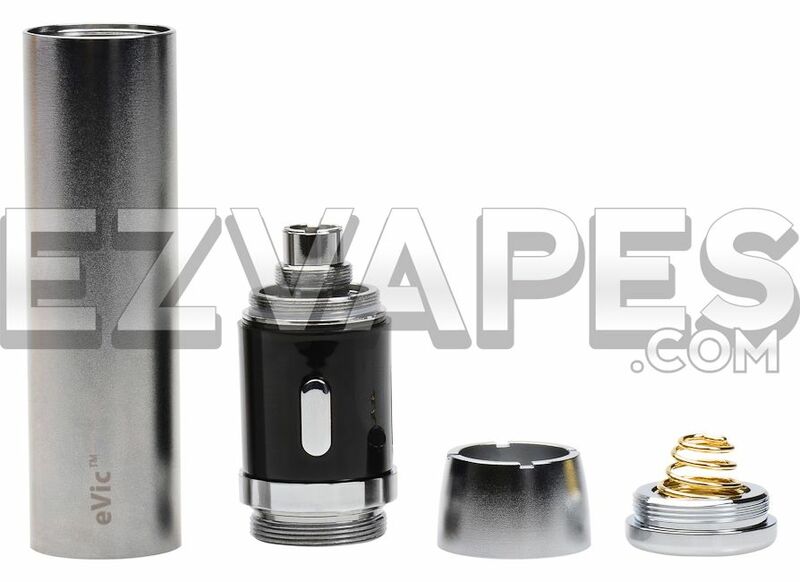 Here is where you will find the atomizer connector, digital display screen, toggle wheel, enter button, and USB port. Like most vape pen batteries pressing the enter button 5 times will bring the unit out of safe mode and into action mode. The toggle wheel is a spring loaded ring which is used to navigate through the menu screens and to configure the settings. eVic puts you in full control over power settings, voltage output, wattage levels, and ultimately your entire vape experience. Just connect any 510 atomizer (sold separately) to the eVic system and the software will immediately go to work by displaying the Ohm of the atomizer. You can then adjust the battery's voltage output to create the perfect vapor quality. If this isn't enough the 1.2 version of the software features a vape length setting which will engage the atomizer for an amount of time selected by you, with the tap of a button. So no more holding down the button for the entire draw, it will start and stop for you. These are only a few of eVic's customization features as they are continuously being updated and upgraded through it's software. The MVR or My Vapor Report program can be downloaded at Joyetech's site. When you connect the eVic to your computer you will be given an option to upgrade the software to the newest version available. These upgrades bring new features menus and settings to your eVic which is almost like getting a new device every time you upgrade the software. With a solid build made from quality materials and continuous software updates available the eVic is definitely in a class all its own. 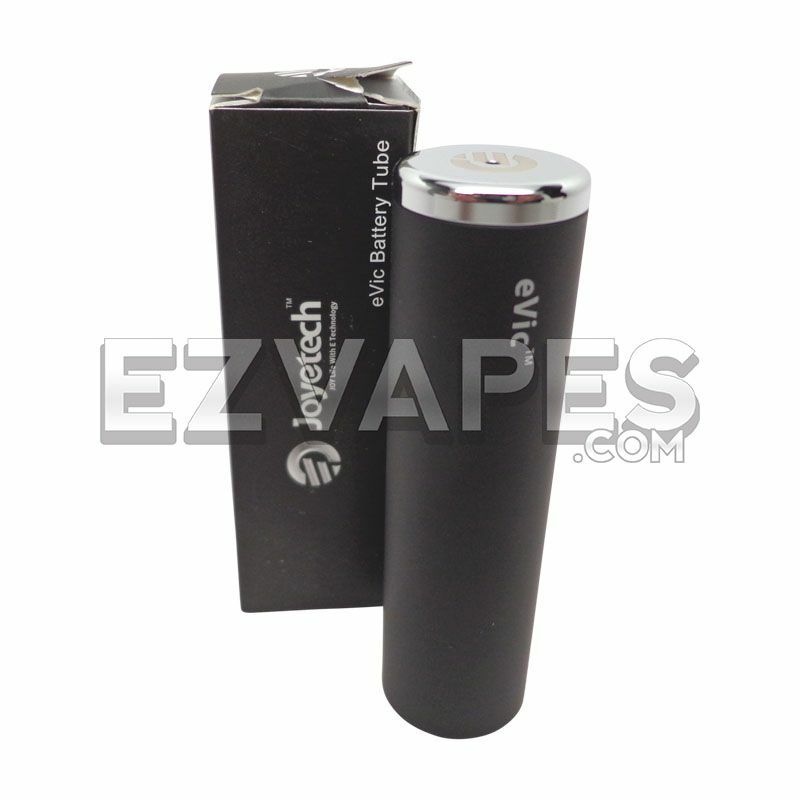 Order the Joyetech eVic vape pen mod today and get your choice of a black or white battery tube. 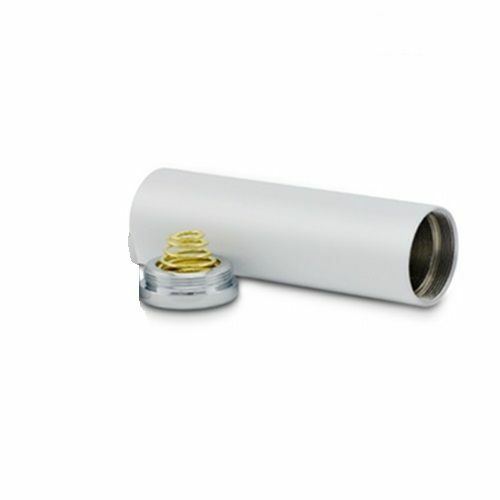 Add a little more style to this advanced vaporizing device by swapping the standard silver tube with one of the colored ones for a more personal look.